Why can't I have anything nice? I live in a madhouse (choose your definition above) enjoying a wonderfully crazy life and my three Labrador retrievers. In the midst of all the "fun", I do wish that my house would stay clean for more than 5 minutes, my sweaters and shoes would stay in the closet, the toilet paper roll would remain in the bathroom and my wallet would stay in my purse. To make things a little more complicated, our family also tries to live a healthy lifestyle by using ecofriendly products and minimizing our exposure to any chemicals and pesticides. I have to admit that this is a challenge for me because I like to keep things cle an. I recently discovered the eco-friendly Terracycle cleaning products. I am impressed with their new pet line, which includes the Terracycle pet stain and odor remover, which is safe on carpets, clothing and bedding. I also like their hardwood floor stain and odor remover. 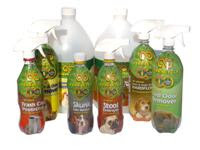 The cleaners are non-toxic, pet safe, biodegradable and contain no fragrances. 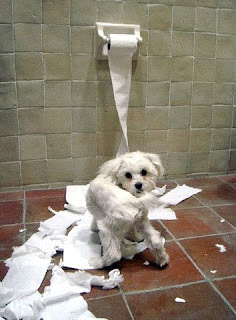 The products are available online and at Petco, Target, Home Depot and WalMart. Thanks to Dan and good folks at Terracycle, we have a Sweet Dog GIVEAWAY! One lucky winner will win a bottle of Terracycle's pet stain and odor removers and a bottle of the hardwood floor stain and odor remover. Post a comment on this blog post telling us what is your favorite Sweet Dog Organic treat or let us know what type of treat you would like to see us bake the in future (1 entry). Please include your email address so we can contact the winner. If you do not have a Google account, select anonymous. The winner will be selected at random. Contest Ends 07/10/09. This contest has ended. Congratulations to our Sweet Dog Giveaway winner, Jamaise. Thanks to all of you who participated in the giveaway. I appreciate your support! Check back for more great product reviews and giveaways.